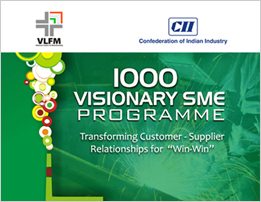 “CII initiative to start VLFM in partnership with Japan is helping Indian Industry become more innovative and competitive. Manufacturing in India is gaining the attention of global leaders. 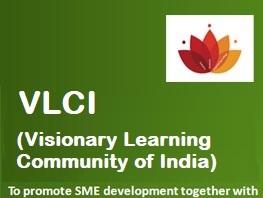 The VLFM programme has led to a substantial change in the perception of manufacturing amongst Indian companies. 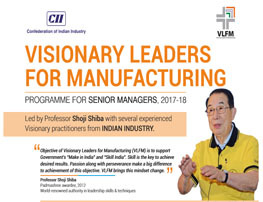 I can see the transformation of mindset amongst manufacturing managers after attending the VLFM programme.” Jamshyd N Godrej Past President CII, Chairman & Managing Director Godrej & Boyce Mfg. 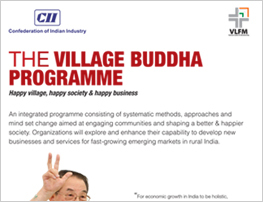 Co. Ltd.
“CII initiative to sta... Jamshyd N Godrej Past President CII, Chairman & Managing Director Godrej & Boyce Mfg. Co. Ltd.